LeBron James will miss at least another week with a strained left groin, the Los Angeles Lakers announced Thursday. James, who suffered the injury Christmas Day in the Lakers' victory over the Golden State Warriors, has been sidelined for two weeks so far, with the team going 3-5 in his absence. The four-time MVP was evaluated by L.A.'s team medical staff Thursday and it was determined "the healing of James' groin injury is progressing," per the Lakers. Furthermore, James has been "cleared to increase on-court functional basketball movements," the team said in a statement. Thus far, James has done very little basketball activity since the injury outside of standstill shooting. The Lakers fly to Utah on Thursday for a game against the Jazz on Friday. James will not join them. He will also miss Sunday's home game against his former team, the Cleveland Cavaliers, and Tuesday's game against the Chicago Bulls, at a minimum. The Lakers said they will provide another status update on James next Wednesday, ahead of their game next Thursday at Oklahoma City. 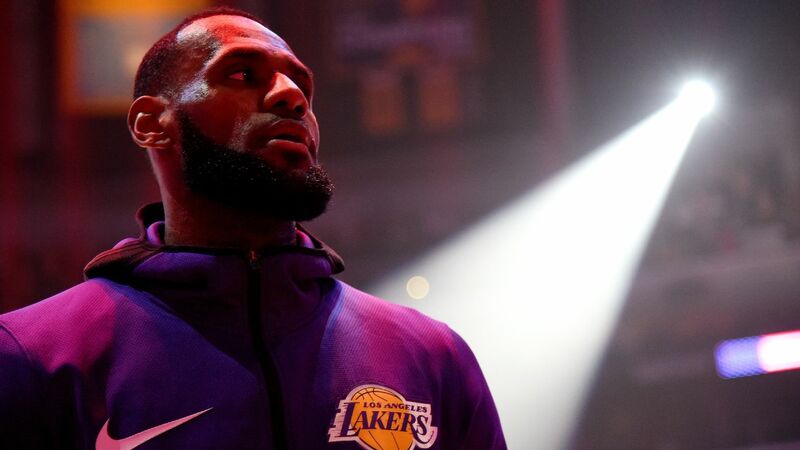 While James, 34, could be in line to return in time for the Lakers' game against the Thunder, he will take a cautious approach and is prepared to be out multiple weeks if that's what it takes to return at 100 percent, a source familiar with James' thinking told ESPN. Stephen A. Smith recognizes the potential value in the Lakers trading for Anthony Davis, but says he would still not let Kyle Kuzma go.